"We are coming together to enjoy life, celebrate with our friends, remember those who left us too soon, and raise money for causes close to our heart," stated Mike McDermott, President of Trebius Promotions. 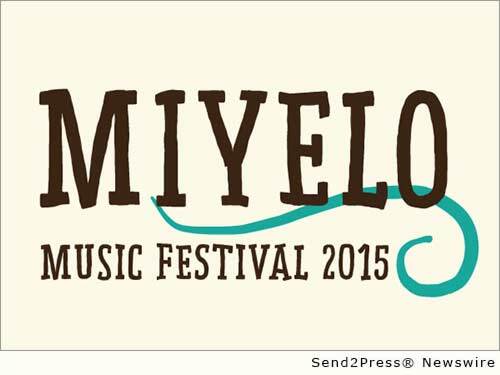 General Admission tickets for the 2015 festival will be available online at http://miyelomusicfest.com on Wednesday, April 15, 2015 at 8 a.m. EDT. Trebius Promotions is working together with Donnie Reis of The Donnie Reis Band to host the event that is a “Party with Purpose.” Proceeds from the Miyelo Music Festival are going to three local charities, most notably Pink Ribbon Girls, an organization that strives to meet the practical needs of families affected by breast cancer. The 2015 lineup features national acts including GRAMMY® nominated songwriter Will Hoge, Brandon Chase from NBC’s The Voice®, Neulore, Kris Allen, winner of the eighth season of American Idol®, Erick Baker, GRAMMY® nominated songwriter Seth Glier, Ben Bradford, Elenowen, Joseph LeMay, Keta, along with several yet-to-be-announced acts. “We are coming together to enjoy life, celebrate with our friends, remember those who left us too soon, and raise money for causes close to our heart,” stated Mike McDermott, President of Trebius Promotions.